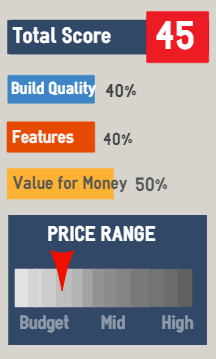 ProForm has built a pretty good reputation in the last ten years in the low to mid-price range of home fitness equipment. 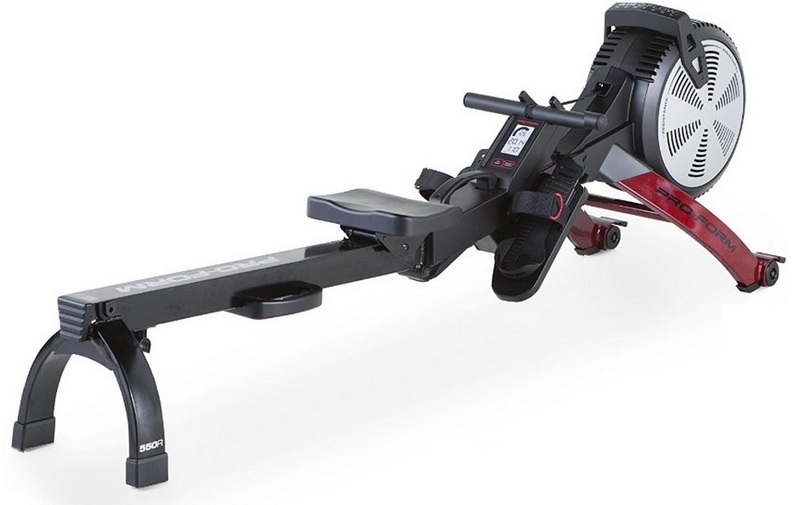 About a year ago we tried their first rower and we're quite impressed with the build-quality for a budget mode - see Proform 440R for that review. So for a little under twice the price of the 440R we were keen to see what you'd get with the 550R. Our first impression was a good one. It looks the part, has a little bit of styling, feels nice and sturdy and has a much better handle than the 440R. After a few hours use the word, 'workmanlike' comes to mind. 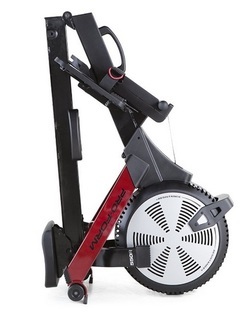 It certainly seems up to the job of delivering a good workout, the build-quality is respectable for an upper end budget machine, the rowing position will suit all but the tallest (or heavier) user and for the price we couldn't complain. But... at the end of the day it's just a bit dull. Now we're happy to admit we may have been spoilt lately with some of the top models we've been using, but as consumer expectations rise for home fitness equipment, even the budget models are going to have to raise their game. But back to the 'nuts and bolts'. The ProForm 550R is quite straightforward to assemble if you have experience of flat-pack furniture. If you don't, we suggest to get someone to help. The handle is well-padded and one heck of an improvement on the 440R and should prevent the bane of rowers, the dreaded hand blisters. The footrests hold your feet firmly in place so you don't have to keep stopping and re-fitting the straps - something that is a real pain when you're trying to work up a sweat. The resistance mechanism is air which means it will be noisy at high stroke rates/ resistance levels. This is something to bear in mind if you have to share your house or live in apartment where noise could be an issue. This is a folding model and thanks to a handle and wheels, it's easy to move. It folds up into a small footprint and, thanks to a folding beam, it doesn't need six foot of height to store away. 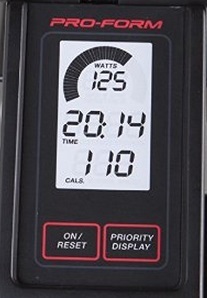 The large LCD screen is easy to monitor when working out. You can keep track of your performance with the usual data such as time, distance, strokes per minute and calories burned, although this is just an estimation it's close enough to give you an idea of how hard you've trained. Once feature we liked is the ability to set a goal such how many calories you want to burn, or distance you want to row, and then watch your progress towards achieving it. You will find superior monitors on machines in the same price bracket, but this is sufficient for purpose. A sturdy model with a reasonable rowing position. It will no doubt help you get into shape and be up to the job for most users. But it has to be said, it just didn't excite us at all. If you're looking for a no-nonsense machine for a reasonable price then this will do the job. But if you need something to inspire you to train day-in, day-out then you'll need to consider spending a few hundred dollars more to get a machine that has what it takes to get you on it. We think the ProForm 440R is a much better option. Good rowing position - even for taller user of up to 6' 3"
For a few dollars more (isn't that a movie?) you could get the better Lifespan with a few extra features. 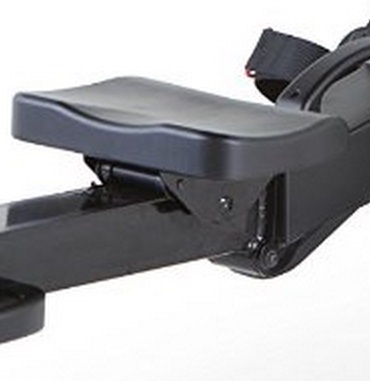 Or another option is the Stamina's workhorse the X Rower. We've yet to hear from other users of this model.